A delicious dish is nothing but a wonderful fusion of great bakery ingredients! You can now find the best quality bakery ingredients here at Bakerykart. 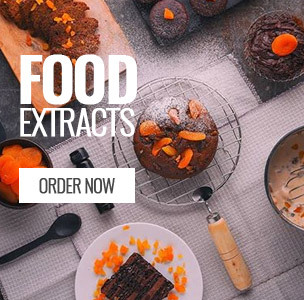 The assortment of baking ingredients includes baking flours, cake premixes, food extracts, food coloring, fondant and more, these bakery ingredients will sparks your creativity and imagination to make incredible baking goods! We have source and listed bakery ingredients at best price from the best brands and suppliers in India. We endeavour to offer the best quality bakery ingredients, so that you can bake international style dishes without compromising on the aesthetic value and taste! Our bakery ingredients store has all the product variants that will add to the variety, taste and style of your baking recipes. The top quality baking ingredients ensure rich tasting baking products that will be loved by your friends, family and customers. 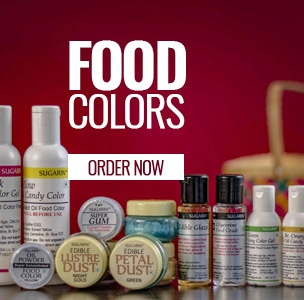 Popular bakery ingredient brands such as Satin Ice, Vizyon, Fab Flavours, Ossoro, Bobs Red Mill, Dawn Foods, Spring, Tropolite, Magic Colours are available here so that you can choose the best ingredients for your baked goodies! All orders are delivered to your doorstep within 3 to 5 business days across India.